The Arena GPS 1.2 builds on the Arena GPS 1.0 & 1.1 and increases the level of difficulty. 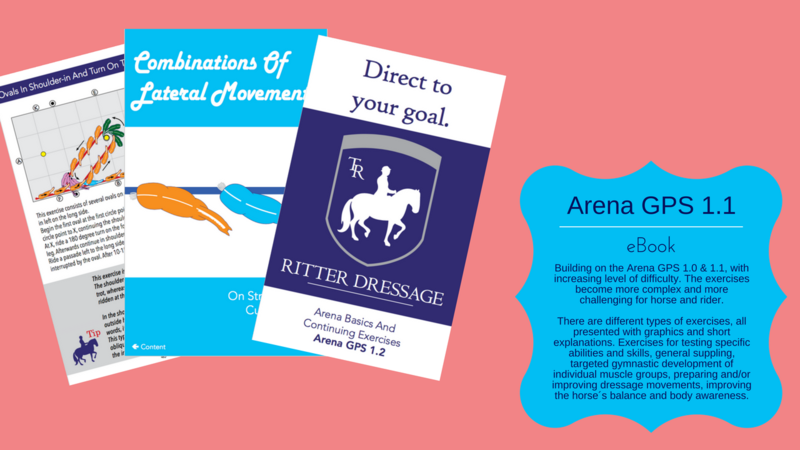 The exercises become more complex and more challenging for horse and rider. There are different types of exercises, all presented with graphics and short explanations. Exercises for testing specific abilities and skills, general suppling, targeted gymnastic development of individual muscle groups, preparing and/or improving dressage movements, improving the horse´s balance and body awareness. "It´s a little like playing with legos – your arena work becomes very creative this way." If you have trouble with the payment processing, just email ritterdressage@gmail.com.